! the function values (Y) and the weights (W).
! 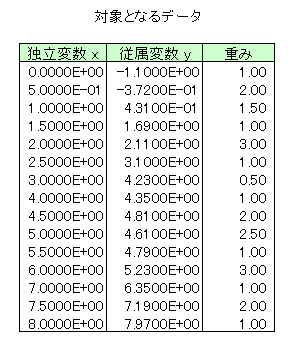 Read in successive values of S until end of data file.
! Determine the spline approximation.
! X points, saving the results in SP.